BLACK BOX Cabaret presents An Unexpected Coda, celebrating the music of artists who left us too soon. Featuring hits from pop icons of different eras, this special evening will share their stories and enduring legacy. The cabaret will be staged on Friday, May 13 at 8 p.m. at THE BLACK BOX, downtown Franklin’s theater, music and event venue. Spotlighting the vocal talents of area performers, BLACK BOX Cabaret is presented in an intimate night-club atmosphere with professional accompaniment. A cash bar is available. For tickets and more information, visit www.THEBLACKBOXonline.com or call (508) 528-3370. Tickets also may be purchased at the door. 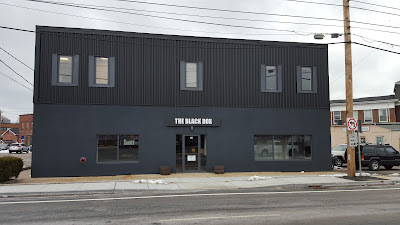 THE BLACK BOX, the home of the Franklin Performing Arts Company (FPAC), is located at 15 West Central Street.